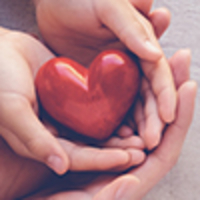 Provide comfort for the family of Norma Stehr with a meaningful gesture of sympathy. It is with heavy hearts that we announce the passing of Mrs. Norma Victoria Stehr (nee Rein). 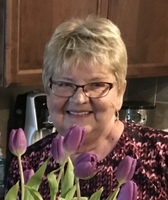 Norma passed away peacefully at the Red Deer Hospice on Friday, March 15, 2019 at the age of 75 years. Norma was born April 4, 1943 in Eckville, Alberta. She married her soul mate, Gordon Stehr, in 1966 and started their life together in Edmonton. They were blessed with three children, Cheryl, Lorie and Darren. Gordon’s employment in the Oil Field took them to Lloydminster from 1974 until 1991. Those seventeen years brought great joy raising their children in a hockey town, where the whole family developed lifelong friendships enjoying winters at the rinks and summers at Loon Lake, Saskatchewan. Norma enjoyed her employment at the Border Credit Union, where she also developed many friendships with the staff and clients. 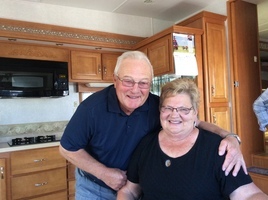 In 1991, soon after their children left the nest, Norma and Gordon moved to Central Alberta, Lacombe, to be closer to Norma’s parents in Eckville. From 1993 to 2004, Norma and Cheryl used their design and decorating skills operating an Interior Design/Painting Store in Lacombe, where they met many wonderful customers who became great friends. Norma and Gordon retired in 2004, and set out on new exciting adventures. They travelled to many European Countries, cruised the Caribbean a few times, as well as a trip to Alaska. Their winters were spent down south with music jams, happy hours and golf. During the summers, they spent their time at their permanent RV Site at Tail Creek doing much the same. Norma and Gordon lived a life with much love, fun and laughter. When we think of them, “smile and remember”. Norma will be deeply missed by her children, Cheryl Stehr, Lorie (Darren Theim) and grand daughter, Samantha; Darren (Melissa) and granddaughters, Megan, Taya and Addison. She is also survived by two sisters, Shirley Bourasseau and Sheila Rein; two brothers, Ed Rein and Randy Rein; and numerous in-laws, nieces, nephews, cousins and many great friends. Norma was predeceased by her husband, Gordon in 2015 and a brother, Walt in 2005; as well as her parents, Hilda and Albert Rein. The family would like to extend a special Thank You to the staff at the Red Deer Hospice, for all their love and support during Mom’s End of Life Journey. A Celebration of Norma’s Life will be held at Parkland Funeral Home, 6287 – 67A Street (Taylor Drive), Red Deer, Alberta on Friday, March 29, 2019 at 2:00 p.m. If desired, Memorial Donations in Norma’s honor may be made directly to the Red Deer Hospice Society at www.reddeerhospice.com. Arrangements in care of Parkland Funeral Home and Crematorium, 6287 – 67 A Street (Taylor Drive), Red Deer. 403.340.4040 or 1.800.481.7421. To send flowers in memory of Norma Victoria Stehr, please visit our Heartfelt Sympathies Store. Andrea and Isabel and Joe & josh Remai & staff at Span West have sent flowers to the family of Norma Victoria Stehr. Our sincere sympathy to Norma's family and friends. I have very happy memories of the good times our family spent living next to Norma and family while we were growing up. It seems to be a very short time ago. Rest in peace Norma. Our sincere condolences to the Stehr family at this time your mother was a very good friend of ours and will be greatly missed by all.